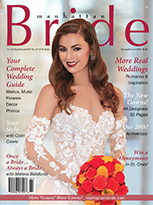 Weddings often inspire a longing for the authentic and the lasting. 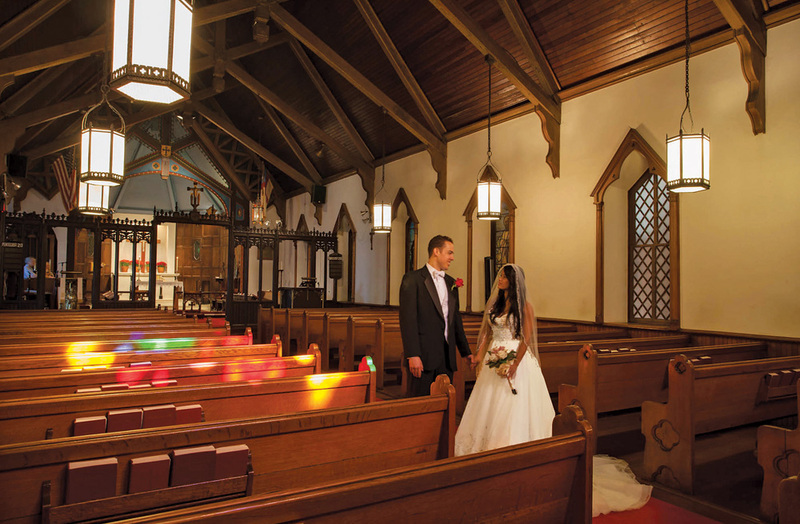 For those who want to add a touch of eternity to their wedding, getting married in a historic church or temple might be a special choice, and there are many such places of worship in the area. “Nothing is more romantic than being surrounded by beautifully crafted Tiffany stained glass windows,” says Victoria. 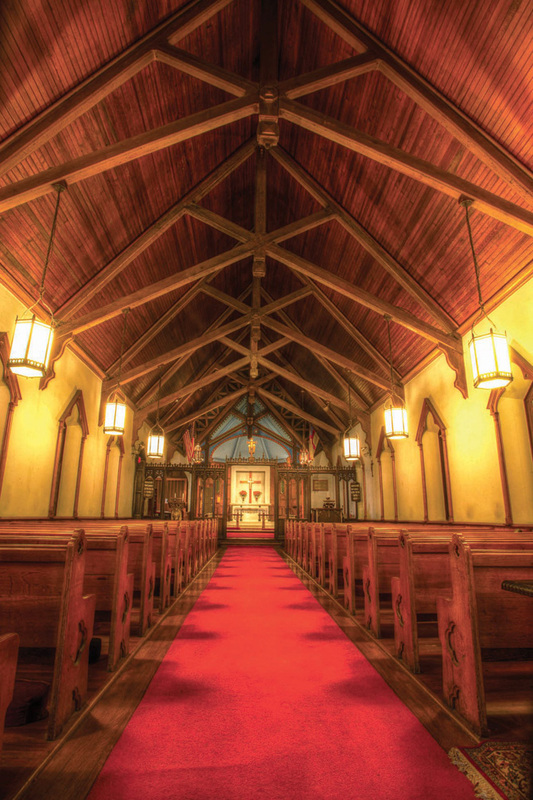 “These can be found in St. Mary’s Episcopal Church in Tuxedo Park, NY or in the historical Central Synagogue in midtown Manhattan, with its landmarked exterior and sacred objects.” In New Jersey there is Northern Valley Affairs at Temple Emanu-El, with its majestic sanctuary and dome, which is almost 100 years old. 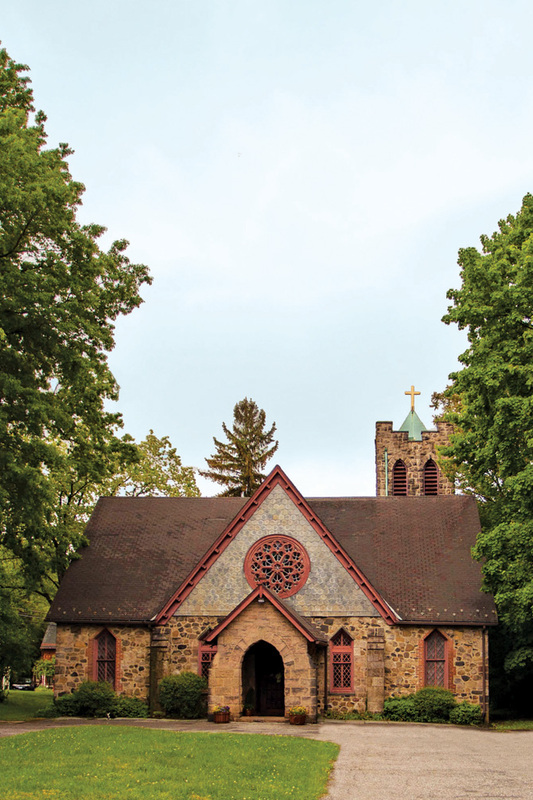 “Because they connect us to our roots and our forebears, these historic places of worship help us rise above ourselves.” Ask someone to envision a “church” and they’ll probably mention pointed arches, steep-sloping roofs, and fancy carvings, suggesting a Gothic-Revival building. 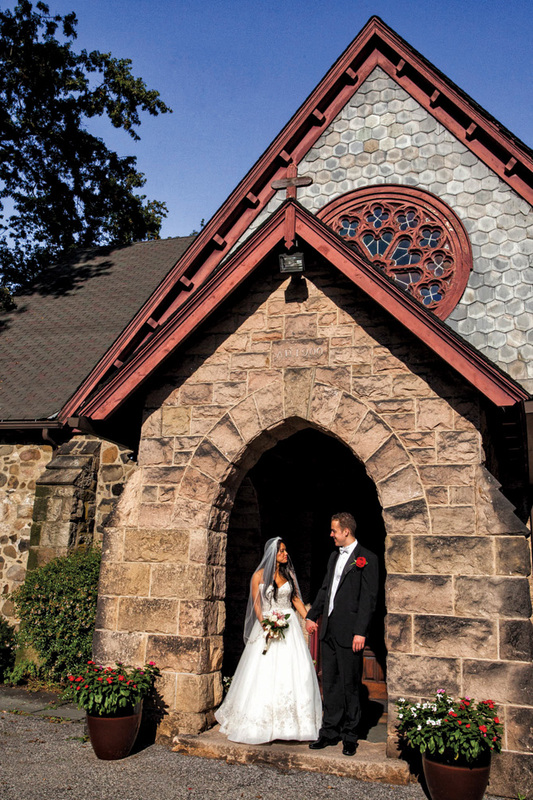 In the 19th century, New York was at the center of this resurgence in Gothic architecture for buildings and churches. The most prominent builder and advocate for these revivalist structures was the New York firm of Richard Upjohn and Company, which designed Manhattan’s Trinity Church and some 30 other churches and cathedrals in the mid 19th century. Both Upjohn and his son-in-law partner Charles Babcock were followers of the English-rooted ecclesiological movement in church architecture, which held that good liturgy and good architecture enhanced each other. The Gothic style represented church architecture’s highest ideals. 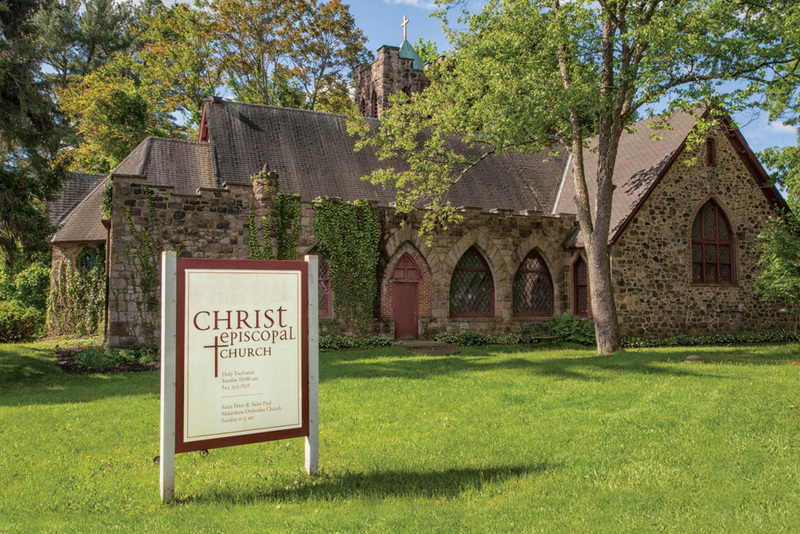 With its Gothic architecture and Norman-influenced interior, Christ Church is quite similar to the many small and charming “chapel churches” found in the English or Irish countryside. 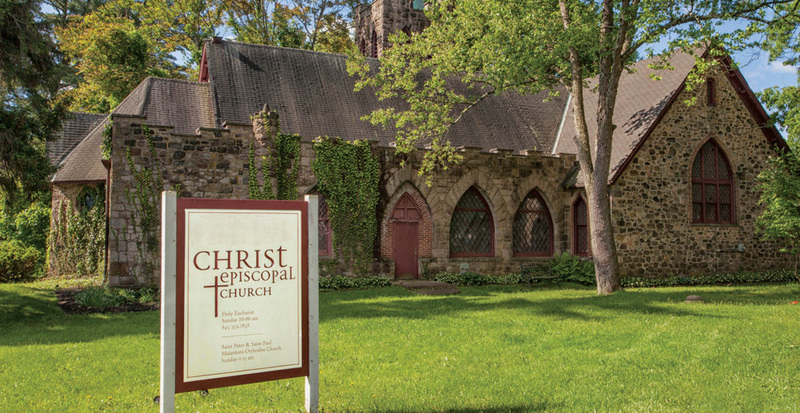 In 2014, the church is celebrating the 150th anniversary of its Babcock-designed building. 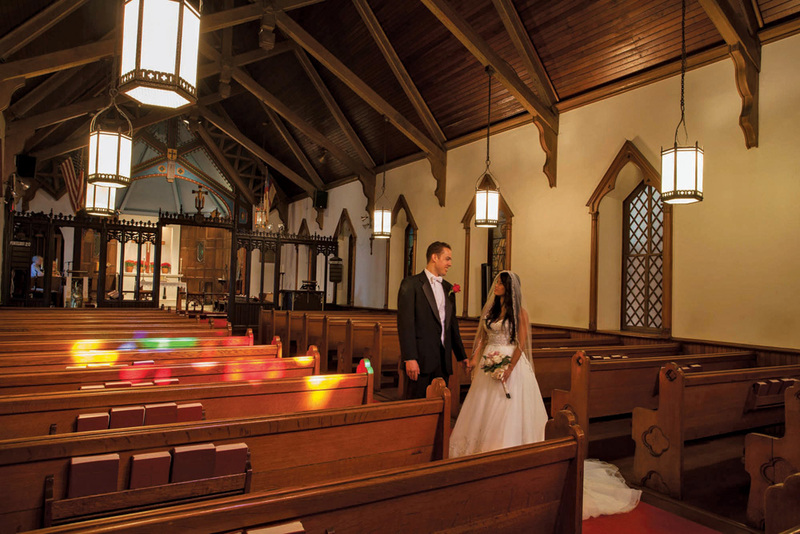 “Throughout the afternoon and into the early evening, depending on the time of year, the rose window entry casts multicolored light down into the church, flooding it with reds, yellows, and blues.